A dash of cold water for suggestions that Berlin’s Tempelhof Airport could be the city’s next startup and tech hub – plans to do just that to Berlin’s Tegel (TXL) Airport are already underway, though exactly when it’ll happen is a mystery. 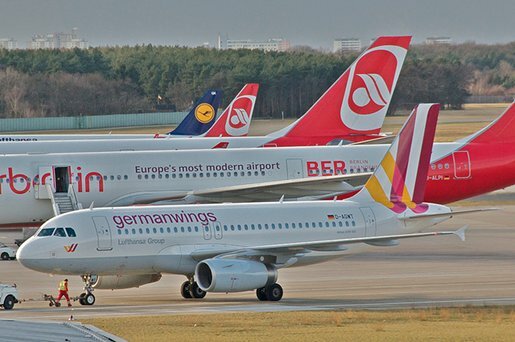 At the moment, the airport is still actively used as a flight hub after last year’s planned opening of mega-airport Berlin Brandenburg, situated on the site of current airport Schönefeld, was delayed. But hold tight – a draft plan titled “Masterplan TXL” was officially adopted by the Berlin Senate in April this year. It’ll go ahead once Berlin Brandenburg Airport opens. Under the title of The Urban Tech Republic, TXL will be transformed into a research and industrial park. The aim of the project is to help entrepreneurs realise their ideas, supporting them step by step from an early stage to building and distributing their products. Led by serial entrepreneur Philipp Bouteiller, the hub is targeting founders, students, investors, industrial experts and scientists. The Berlin local government site looks a little out of date, stating: “After the discontinuation of the regular airport operations in 2012, the site will be transformed into a lighthouse of environmentally friendly top technologies”, it goes on to say the new campus will develop “urban technologies for tomorrow”. The companies will be housed in and around the former terminal building – the first to move in will be educational institute Beuth Hochschule für Technik, Frankfurter Allgemeine has reported. The idea of turning Berlin airports into tech hubs seems to be a theme at the moment – earlier this week a report by management consulting firm McKinsey suggested that Berlin’s iconic abandoned airport Tempelhof should also become a startup centre. Berlin’s mayor Klaus Wowereit was quick to jump on the idea. Until we see some concrete plans, we’re staying skeptical.